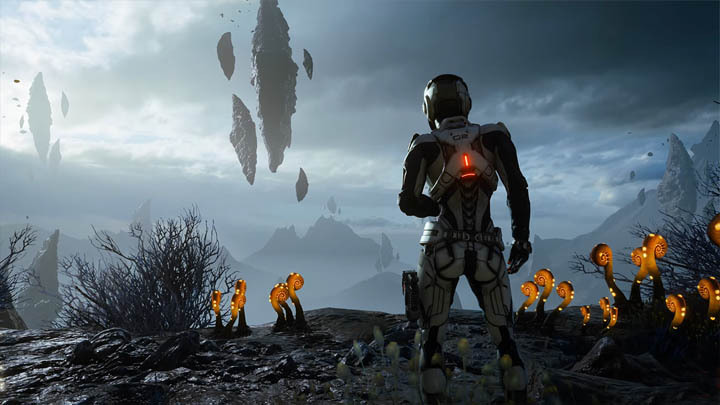 Not everyone is on the same side in Andromeda, whether that's through intellectual choice or pure primitive behaviour, it's quite often the case that you'll be called into combat whilst exploring uncharted areas. 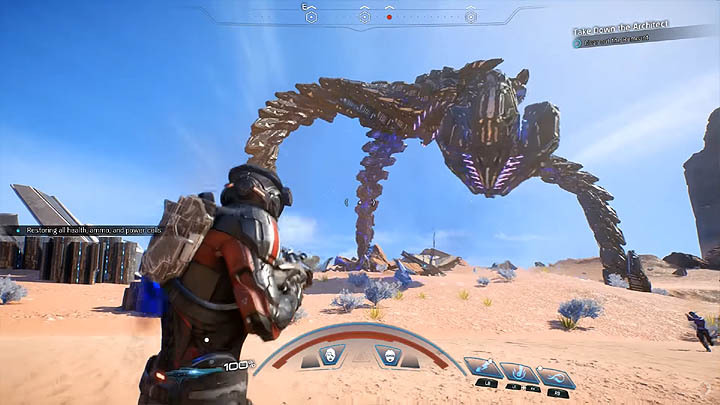 In fact, almost every planet in the game has at least one hostile base, a number of hostile creatures and a possible super boss. In some cases you'll stumble upon two factions fighting against each other, giving you the opportunity to join in and reap the benefits from an already ongoing fight. In other cases, it's the natural habit of a creature which doesn't take too kindly to your exploratory needs! As you explore different planets don't be surprised if you accidentally stumble across an enemy base, these bases have been purposely constructed close to other points of interest to draw you in. Taking down a base has some potentially significant benefits in the form on new gear, new NPC's and optional side quests. As you might expect the higher the level of the base (it's inhabitants) the greater your chances of winning some elusive gear that will really make a difference to the crew back at the Tempest. Much like Far Cry and Metal Gear Solid, bases in Andromeda have alert statuses (alarms) which can be triggered through both scripted and systemic processes. Alert too many enemies and the main alarm goes off and all hell breaks loose. Bases are an optional activity and you can quite happily return to the harder ones later when you're better equipped. In addition to Enemy Bases, some planets have massive creatures known as "Architects" to take on. Much like the modern Final Fantasy games (particularly FFXV), these creatures can be absolutely huge and take a great deal of time to defeat. Like bases they're optional activities which reap significant rewards but can be reattempted later in the game, even after the main story (critical path) has been completed. 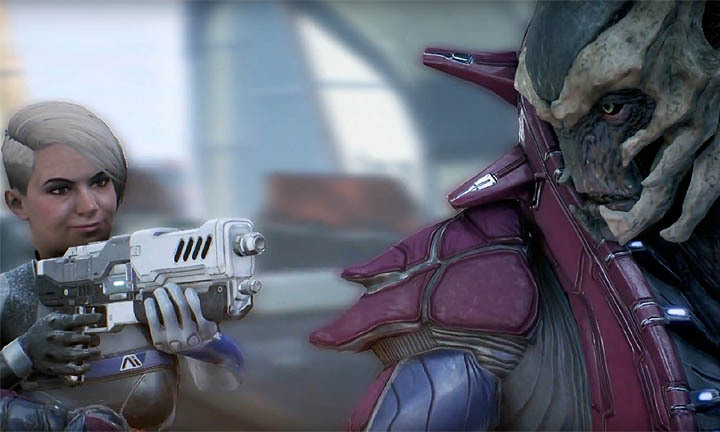 It's usually very easy to spot a super boss in Andromeda and in that sense it's a simple choice of whether to take the fight on or leave the area well alone until later.